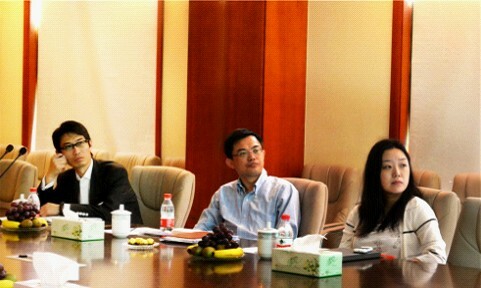 May 27, 2011, Shanghai Jinqiao Group Vice President Zhang Hao and his leading group arrived in Shanghai Shibang Machinery Co., Ltd for Visiting. Shanghai Shibang Group Chairman, who accompanied the state has visited the company's trading, research and development centers, showrooms and office staff. Subsequently, the two sides held talks at the conference room. After listening to the Shanghai Shibang Group on the status of company operations and strategy development related to the report, General Zhang of Shanghai Jinqiao Group's achievements in the world state and the contribution to the development of the region fully affirmed and suggested both sides strengthen exchanges and cooperation, seize the world's advanced gradient transfer of the manufacturing industry a golden opportunity, and seek common development, achieve win-win. Shanghai Shibang is also identify with the transformation of the Group's innovation-driven development strategy of golden bridge group, said a high degree of recognition. Hope that through cooperative efforts of both sides together for the Golden Bridge and the world's second take-off power state.